Gul Ahmed is a highly famous brand in the Pakistani textile industry. It has been operating for more than 50 years now. 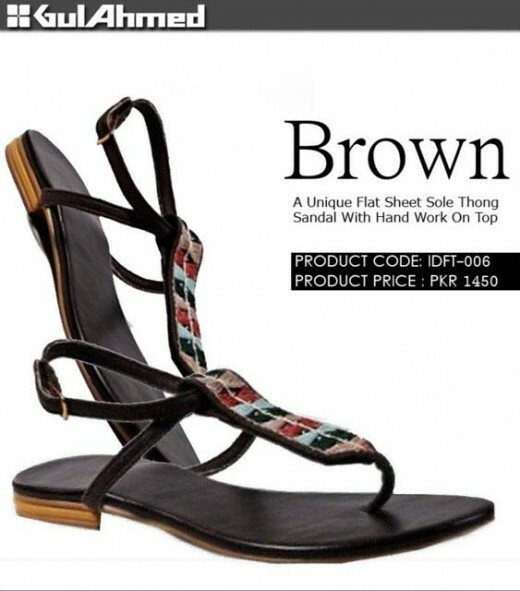 It provides a wide array of products now. The most popular among these products is its textiles. It provides fabric collections for all seasons. 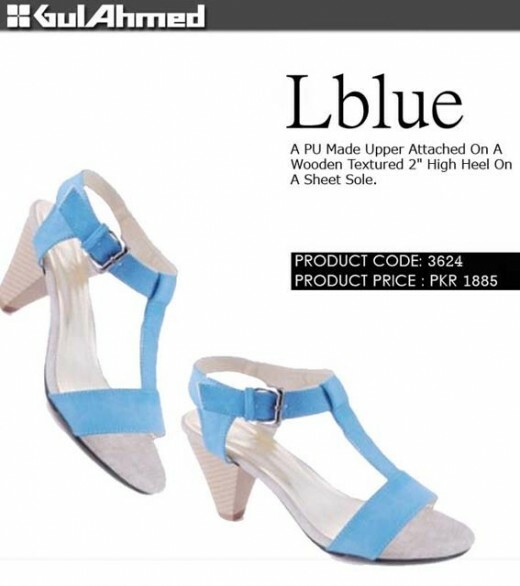 Recently, Gul Ahmad lunched Gul Ahmed footwear collection 2012 for ladies. 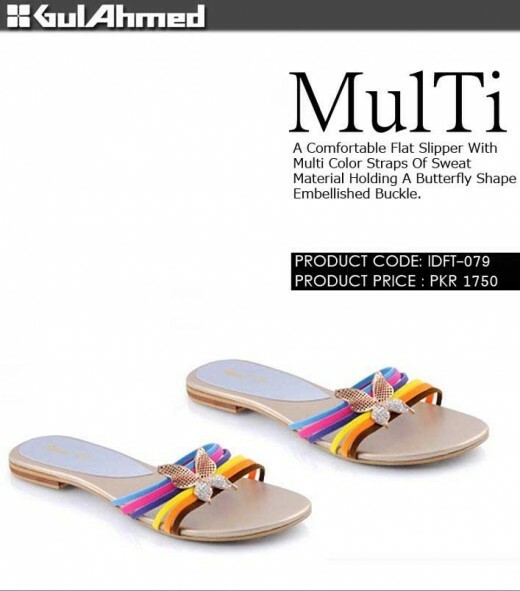 In this collection slippers, sandals, short medium long wooden heels, straps, buckles and different sole are available price tags also mention. 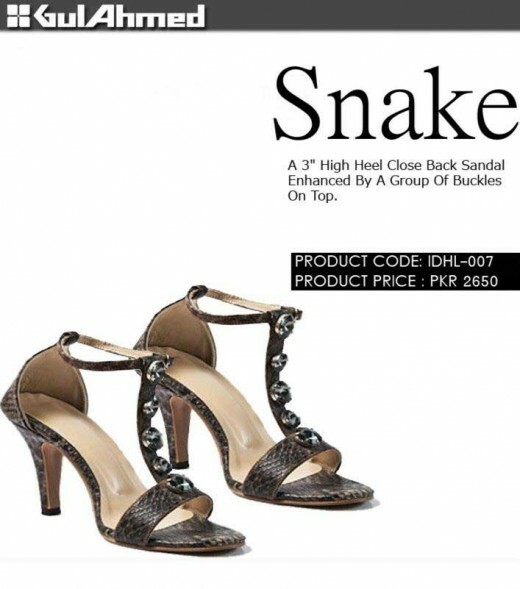 Right now, see Gul Ahmed shoes collection 2012. 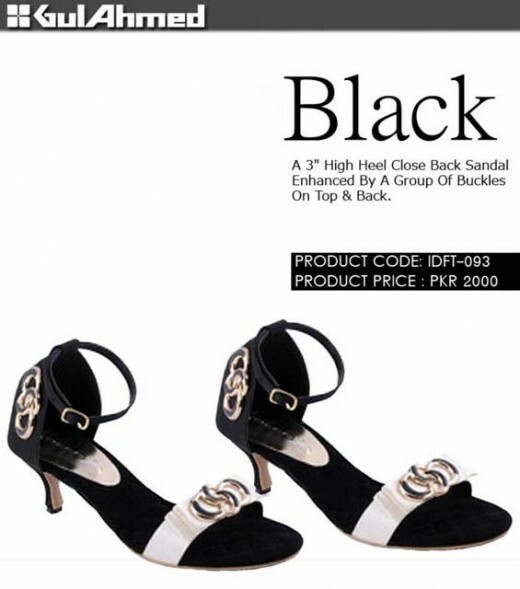 The pictures of some of the shoes are given below.